We can help get you financed when others say no because we own our own auto credit company! We’ve helped people – thousands of people – to overcome credit problems, and drive great cars toward great credit. How have we done it? 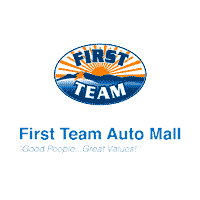 First Team Credit combines the auto financing muscle of multiple national lenders plus our own automotive credit company with one of the largest dealership inventories in the country, to give you the credit you need for the vehicle you want, with as little as no money down. First Team Credit specializes in helping people with all credit situations, we will take you step by step through the credit building or rebuilding. We will get you in the car that you can quality for, you make your payments on time every month. This will show that you are credit worthy, which will begin the process. Then as soon as you are on your feet. We can take in your vehicle back on trade and put you in a car of your dreams. Good Credit, Bad Credit, No Credit? Private Vehicles, Cars, Trucks, SUVs, Crossovers, Hybrids or Work Vehicles, Work Trucks, Work Vans, We just want to help you get the vehicle you deserve. First Time Drivers and many others? We are ready to get you driving today! Let’s get you Pre-Approved. 1) Open checking and savings accounts. 2) Get a copy of your credit report. 3) Correct any errors or omissions on your credit report. 4) Collect positive information about your payment habits. 6) Once you have credit, use it wisely.